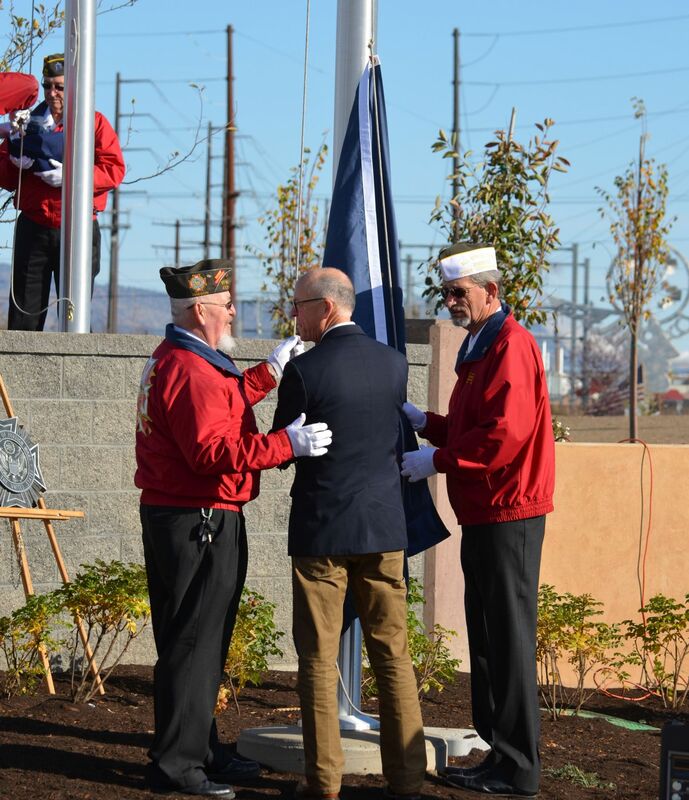 REDMOND, OR -- Redmond officials dedicated the city's new “Flag City U.S.A.” monument, Wednesday. Congressman Greg Walden was on hand for the ribbon cutting and ceremonial flag raising at the corner of Highland and Highway 97. ‘they’re flag city U.S.A.’ Well, they liked that title. I think, by the way, they’re up to 1,400 flags; and six or seven times a year now, all these volunteers go out - Randy Povey and others - do an amazing job. It’s the most patriotic thing I think I see anywhere in America." According to the city, about 1,400 flags are placed along the city’s main streets on federal holidays. The monument is designed to be seen by both north and southbound travelers on Highway 97. It features 11 flag poles with city, state and POW/MIA flags, and of course, the Stars and Stripes. The monument is part of an ongoing beautification effort at Redmond’s gateway areas. 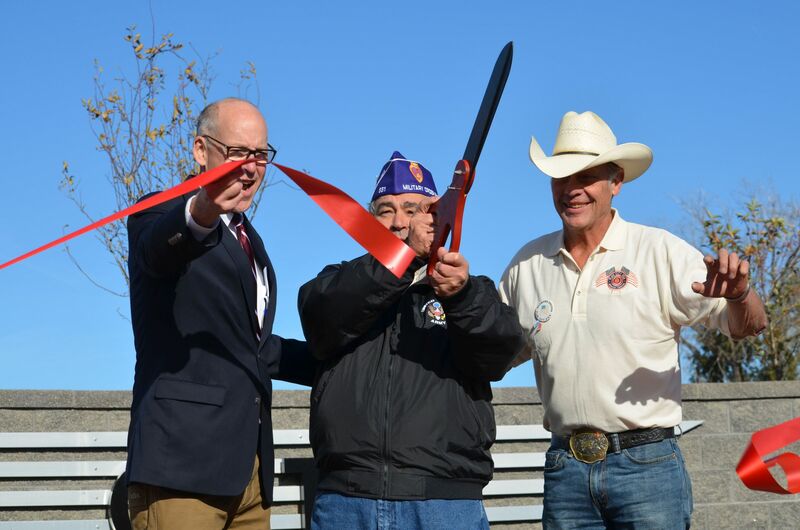 Photos: (upper left) Congressman Greg Walden, Redmond Mayor George Endicott and Randy Povey cut the ribbon at the Flag City, U.S.A. monument. (right) Local vets help Walden raise the flag.